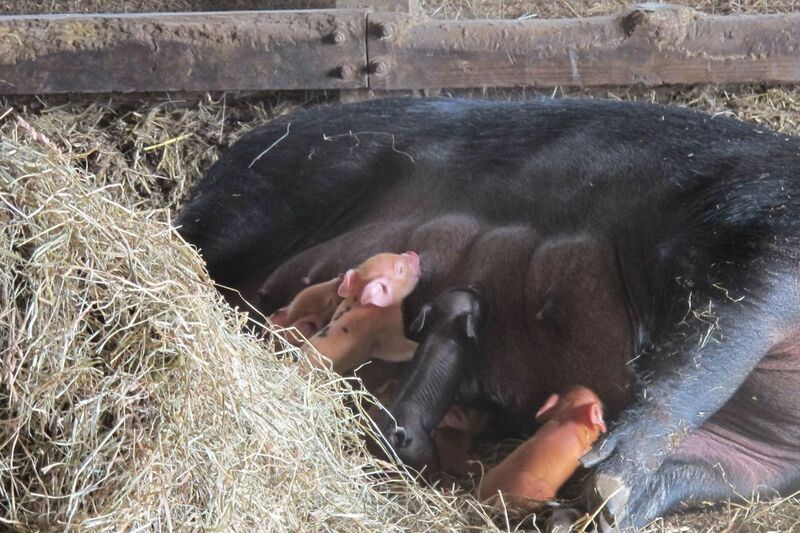 Winter News: 2019, Year of the pig! We are deep into winter here at the farm. 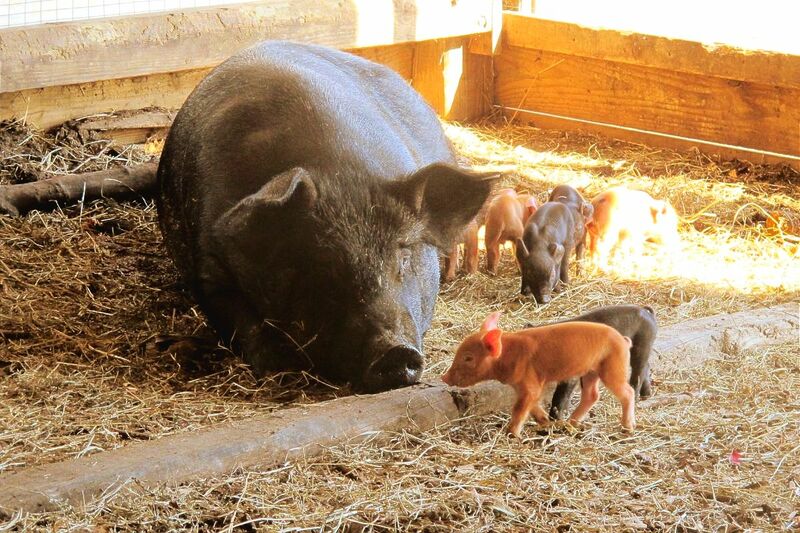 Our winter piglets were born in the barn, but after a day or two were running around outside soaking up the sun with their mama Mae. We finished building our 5th greenhouse (funded through a grant with the Natural Resources Conservation Service). Prepping & planting the greenhouse for spring, starts soon!! 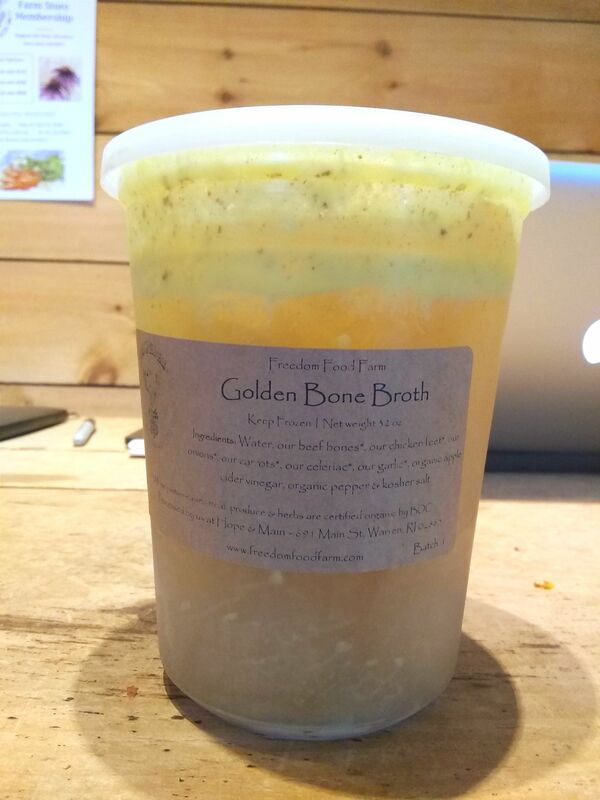 Our farmers are in the kitchen each week making nourishing farm products - including a new recipe revealed below! 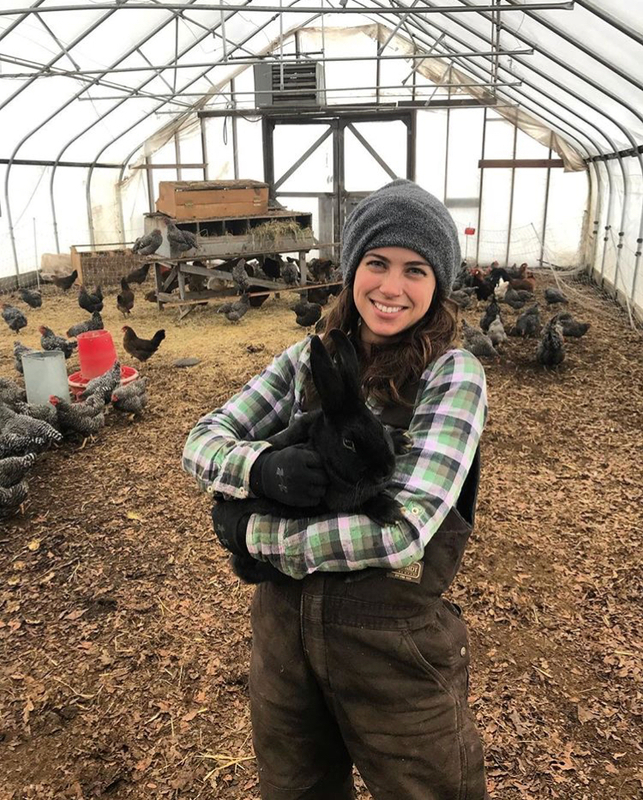 In this newsletter, you can also meet Liz White and read her story - Liz farms at FFF year-round, 3 days a week and works the Pawtucket Wintertime Farmers' Market for us from November - April. She originally found out about the farm through being a regular customer at the market. Lastly, we are busy finishing up our seed orders, planning, organic certification and getting excited for the 2019 growing year! Find some updates, news, cooking ideas & farm photos below! 2 weeks left to get our early bird discount! Our CSA members get the best of our holistically grown food! + pick-your-own flowers, strawberries, produce & herbs! 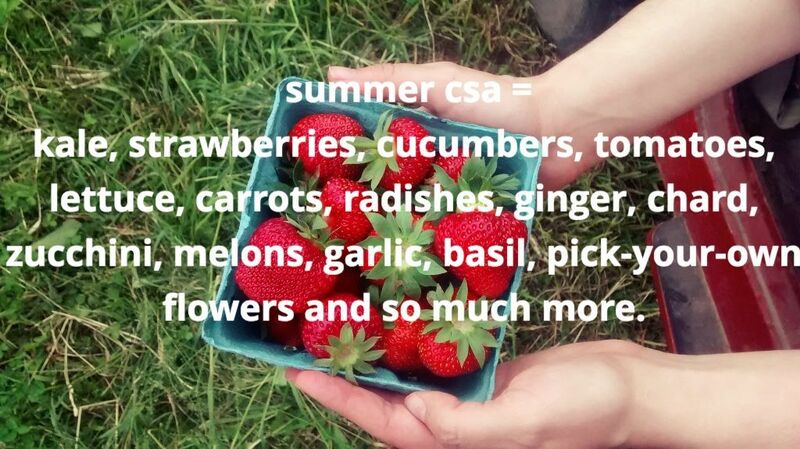 Learn more about our CSA! >> CSA Sign Up here! New products from the kitchen! Carrot Ginger Soup - a winter favorite & quick meal is back! Perfect for sipping and full of immune supporting foods. 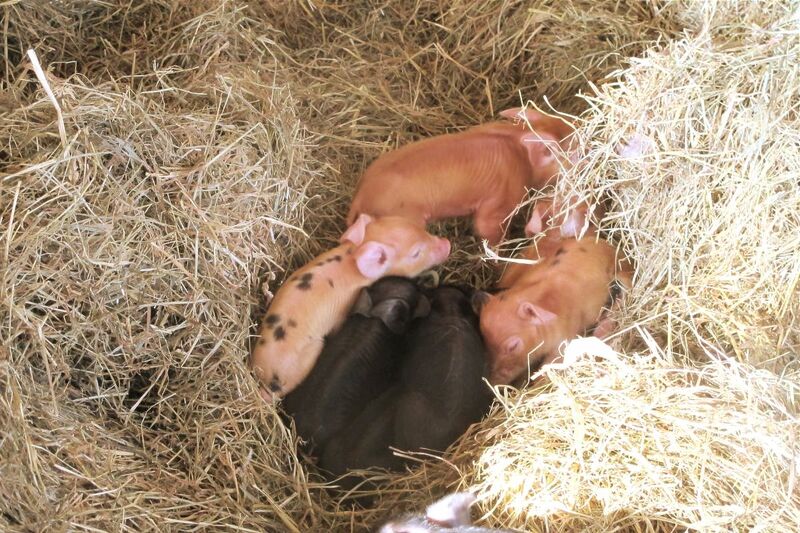 Winter Piglets born on Chinese New Year! Meet our farmers - learn about what brought them to FFF & what they love about it. In this newsletter, meet Liz White! Liz says she’s “always had a knack with animals.” Growing up in North Attleboro, she started working at horse farms when she was ten, mostly mucking out stalls to earn riding time. She had her own horse then, an Appaloosa named Royal, and worked at a farm in exchange for boarding her horse there. Liz started working at Freedom Food Farm as a volunteer and joined the team as a part-time farmer two years ago. “I love the rhythm of things,” Liz says. “There’s different rhythms and cycles to farming…the slow cycle of the season and the faster rhythm of a particular crop, and the quick, quick, quick of harvest and market. I like that our systems try to work together.” She went back to eating meat after about a year on the farm. “It’s different, being able to participate in caring for them,” she says of our animals. Liz is also a certified canine behaviorist in Massachusetts. She worked as a manager at a dog daycare for a few years and now works with dogs in private sessions. She thinks about animal well-being the same way she thought about improving her own health through nutrition – humans and animals are dependent and linked to their environment and their food consumption and eating well is a critical part of maintaining mental and physical well-being. Liz says that farming is going to be her future. “Once you identify yourself as a farmer, it isn’t your occupation. It’s a mindset and a way of life,” she says. She encourages more people to communicate with one another by thinking of themselves as producers. “Sell to each other and trade!” she says. It’s an important way to decentralize from the corporate food system and build real community – what local, organic farming is all about. Farm Tip > When the rutabaga softens a little, it sweetens even more! They are great as a roasted vegetable, added to soups or stews, or mashed with some butter / cream. FARM TIP: Our ribs pair great with rutabaga of course, but also a raw winter slaw is a perfect side - try to simple chop or grate - cabbage, kohlrabi, carrots + celeriac and add your favorite slaw dressing! Find us this winter at local farmers' markets too! Copyright © 2019, Freedom Food Farm, All rights reserved.